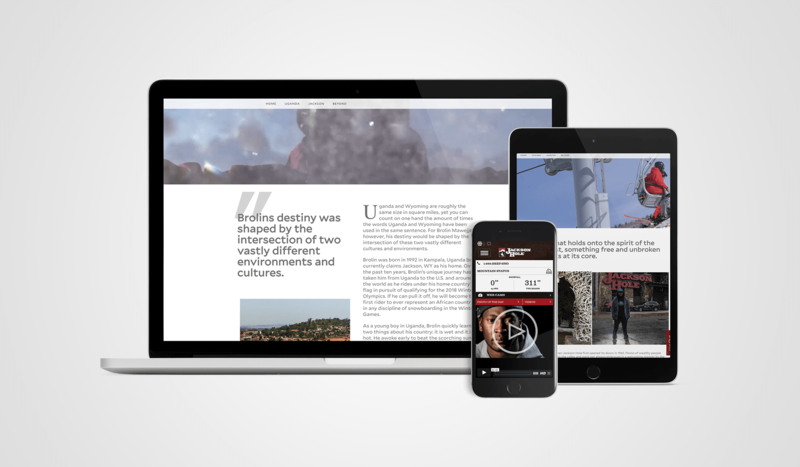 Niftic Agency, in collaboration with WZRD Media, developed a custom digital feature, which anchored the campaign. Responsive development combined with a custom CMS system allows for maximum flexibility over a two-year campaign period. Sweepstakes integration maximizes exposure and generates highly targeted leads through the campaign. 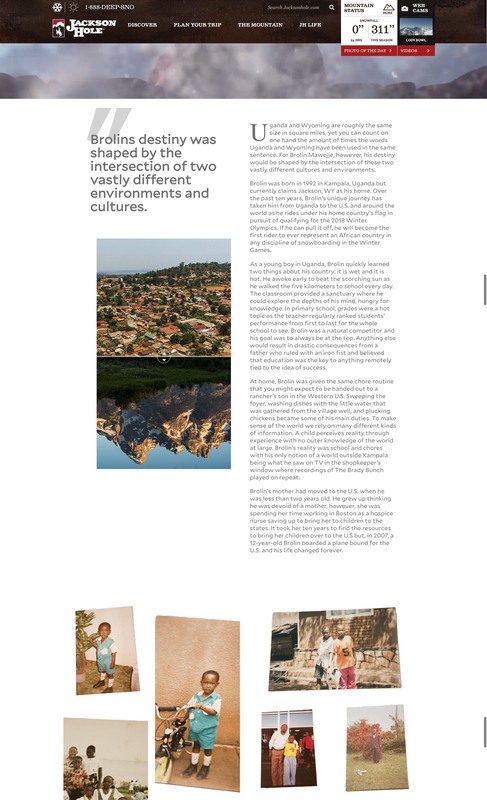 The goal with this site is to connect a global audience with Wyoming on a deeper emotional level by telling a Wyoming based story through an extremely unique and personal perspective. 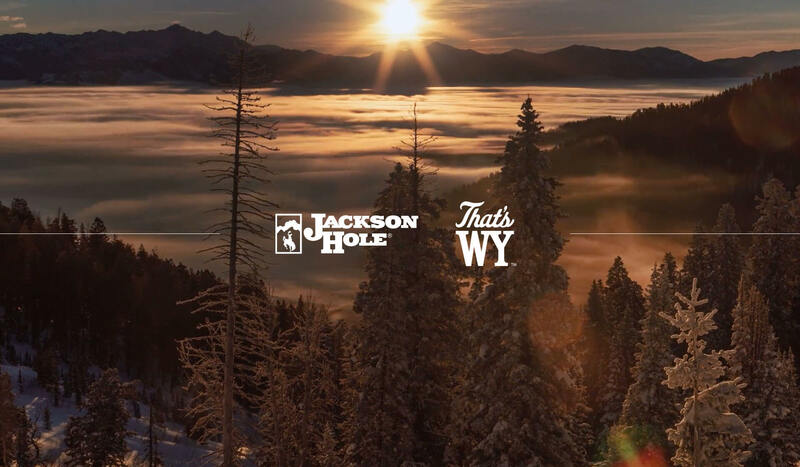 “An Unlikely Hero” is a collaborative digital campaign between The Jackson Hole Travel and Tourism Board, The Wyoming Office of Tourism, and Jackson Hole Mountain Resort. 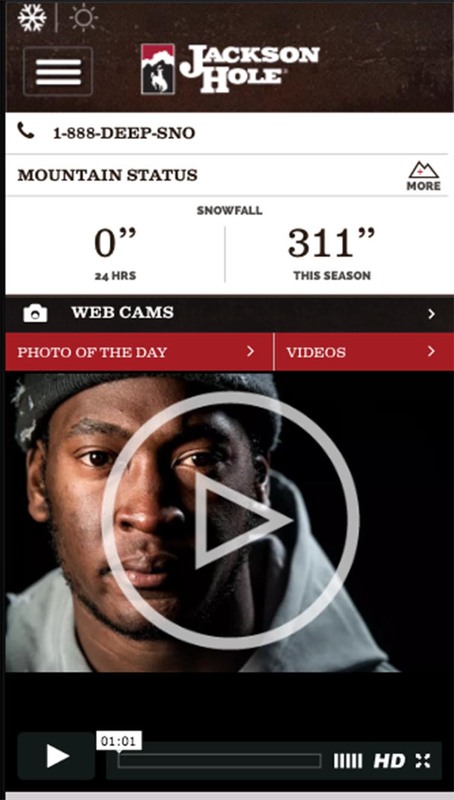 It is centered on JHMR athlete and Ugandan native, Brolin Mawejjein, and his quest to be the first African athlete to snowboard in The Olympics. 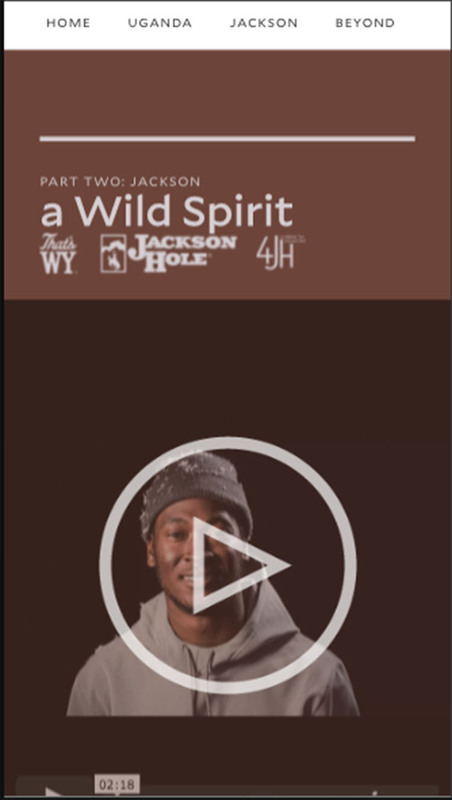 The site uses various storytelling techniques to depict his journey to the 2018 Winter Games, while living and training in Wyoming.